When the sky grows dark and the moon glows bright, everyone goes to sleep… except for the watchful owl! With a spare, soothing text and beautifully rich and textured illustrations of a starry night, this is the perfect “book of sleep.” Join the owl on his moonlit journey as he watches all the other animals settle in for the night: some sleep standing up, while some sleep on the move! Some sleep peacefully alone, while others sleep all together, huddled close. Il Sung Na makes his American debut with this gorgeous bedtime offering. While each animal rests in its own special way, little ones will also drift off to a cozy sleep. It’s evening in the forest and Little Owl wakes up from his day-long sleep to watch his friends enjoying the night. Hedgehog sniffs for mushrooms, Skunk nibbles at berries, Frog croaks, and Cricket sings. A full moon rises and Little Owl can’t understand why anyone would want to miss it. Could the daytime be nearly as wonderful? Mama Owl begins to describe it to him, but as the sun comes up, Little Owl falls fast asleep. Putting a twist on the bedtime book, Little Owl’s Night is sure to comfort any child with a curiosity about the night. Read & Bloom offers high-interest, character-driven stories for newly independent readers that feature full-color illustrations throughout. 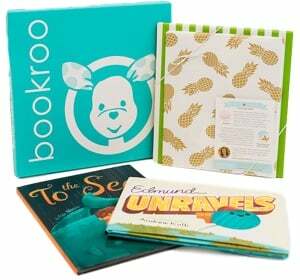 These early chapter books will transition kids from leveled readers to a lifetime of reading. In this delightful series, kids will be treated to simple whodunit mysteries as an utterly adorable owl duo put their heads together. While Wallace and Grace are on a scavenger hunt, they stumble upon a puppy named Jasper who can’t find his way. Will the owl detectives be able to follow the clues to get the lost puppy home? During daytime, Little Owl’s forest is full of colors—like the sparkling blue pond and the hungry green frog sitting on a grassy green bank. From yellow bees to purple butterflies, there’s a rainbow of bright colors to look at and learn! Chikit-chikit-chik! A squirrel is chittering. Bees are buzzing. The sun is high in the sky. And Little Owl is supposed to be asleep, but when he wakes up early, he’s just too curious to close his eyes again. The forest he knows so well at nighttime is completely different – and exciting – in the day! After watching butterflies dance, wolf pups play, and then his very first rainbow, Little Owl returns to his tree. He has many new stories for his mama. A blue sky companion to Little Owl’s Night, Little Owl’s Day is just right for young children and the perfect introduction to the joy and wonder of the natural world. Laugh and count along with ten silly, sleepy owls in this adorable countdown to bedtime book! Ten little owls are playing in a tree, hopping and hooting happily. But Mama Owl calls from down in the nest, “It’s bedtime now; it’s time to rest.” Peek through the pages and spot the mischievous owls in this fun counting book, perfect for bedtime! A heart-warming board book about preparing for the arrival of a new sibling, from a bestselling author and illustrator pairing. Little Owl's mommy has laid a beautiful egg with a new baby owl inside, and Little Owl isn't pleased. He's her baby owl--she doesn't need a new one! But what if it's not an owl inside the egg? What if it's a baby penguin . . . or a crocodile . . . or a dragon?! It's fun to imagine, but maybe a baby owl is the best thing after all. Master storyteller Debi Gliori explores the feelings involved in the impending arrival of a new sibling in this sweetly silly and heartwarming story, lovingly illustrated by bestselling artist Alison Brown.